The Radianse Awareness Suite delivers a comprehensive view of your entire business environment, bringing you a greater level of visibility into a continuous flow of real-time data. The Radianse Awareness Suite features a host of valuable applications that range from simple asset tracking to department-wide, mission-critical applications to ensure superior operating standards in almost any industry. Easily and quickly locate and access real-time context data on any tagged resource anywhere within your business environment. 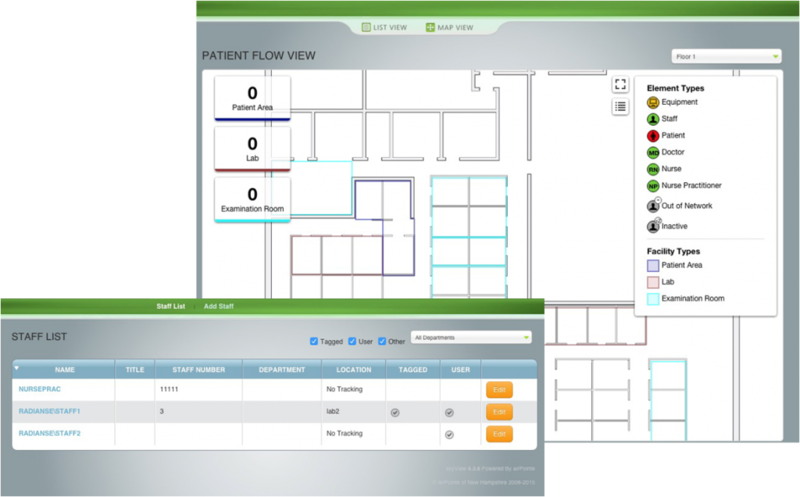 The Radianse Awareness Suite Management application features capabilities that are powerful, intuitive and highly informational. 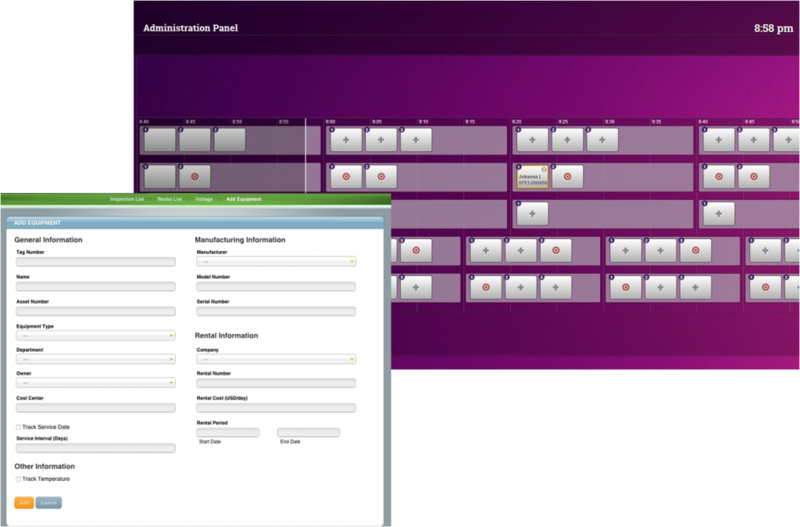 The Radianse Awareness Suite delivers visibility to simplify and optimize management. The Find feature is as easy to use as a basic Internet search engine and the Advanced Find allows searches based on more complex criteria. Track equipment down to room-level accuracy, displaying live situation data results in spreadsheet format or mapped to your floor-plan. Immediately and accurately track a client’s throughput anywhere within your business environment. Using RFID Tags, guest location and situation data is continually monitored. Untagged tracking is available to monitor numerical data on clientele within the facility. This data helps enhance the client experience by lowering wait times, eliminating bottlenecks, providing insight as to which areas are accessed most frequently, and more. Stored time-based data provides unbiased measures of when and where people are moving so that you can optimize business flow. Use passive tracking to determine statistical values of tagged assets and their interactions with your clients. Detect how many people have accessed certain assets and when. Time-based numerical values allow you to access patterns of your business processes in order to optimize performance. Find any personnel you need by name, concentration, or other search criteria. There is immediate and ongoing value in knowing where staff is spending time and using that information to help them be more efficient and satisfied with their work.